Organic food is food which has been produced using preventive practices that protect the environment and reduce the damage/impact farming can have on natural resources. Organic production cuts out the use of chemicals, including pesticides and fertilizers, and drugs such as growth hormones and antibiotics (used only as a preventative measure) given to farm animals. Food safety – Because organic farmers use natural, synthetic chemical-free production methods, the food produced is much safer for humans and the animals that consume them. Synthetic, toxic chemicals are responsible for a number of common allergies and have also been linked to serious diseases such as cancer and Alzheimer’s disease. Food additives linked to heart disease and asthma are also banned under organic standards. The environment – Organic farms are friendlier to the environment as the use of GM (genetically modified) ingredients is banned under organic standards, and there is no risk of farming chemicals affecting water supplies. Animal welfare – Organic farming requires animals to be raised in more natural, clean and free-range conditions, and fed a more natural diet (free of synthetic chemical residues). Preventive care ensures antibiotics for livestock are used purely as a precautionary measure, while the controversial use of growth hormones is banned altogether. Nutrition – Organic foods contain higher levels of many disease-fighting antioxidants and essential vitamins and minerals, including Vitamin C, than intensively farmed foods due to the preventative farming methods used in organic production, such as the care and maintenance of soil. Taste – Many consumers say that organic food tastes better than commercial foods. Wildlife – Unlike industrial methods of food production, organic farming helps protect wildlife by avoiding the use of chemicals that can be deadly to birds and other wild animals. Constant use of p esticides and fertilizers also poisons the soil, destroying insects, animals and even micro-organisms that live within it. At the turn of the century, organic food was limited to just fruits and vegetables. Now, however, people have a vast choice of organic foods ranging from organic meats and pasta to chocolate and dairy products, including milk and eggs. Some UK retailers even sell frozen and canned organic foods, organic ice cream, cakes and cookies, and organic beer and wine. All supermarkets now boast an organic range. As well as adult foods, there are a number of companies dedicated solely to producing organic baby food, and many existing baby food manufacturers are starting to add organic versions to their product ranges. Certification for organic food producers has been made available in a number of countries around the world to ensure that uniform standards on organic produce are met. The Soil Association is Britain ’s largest organisation that monitors, inspects and certificates the producers and processors of organic food at a national level. The organisation’s non-profit subsidiary, Soil Association Certification Limited, certifies over 80% of the organic food sold in the UK . 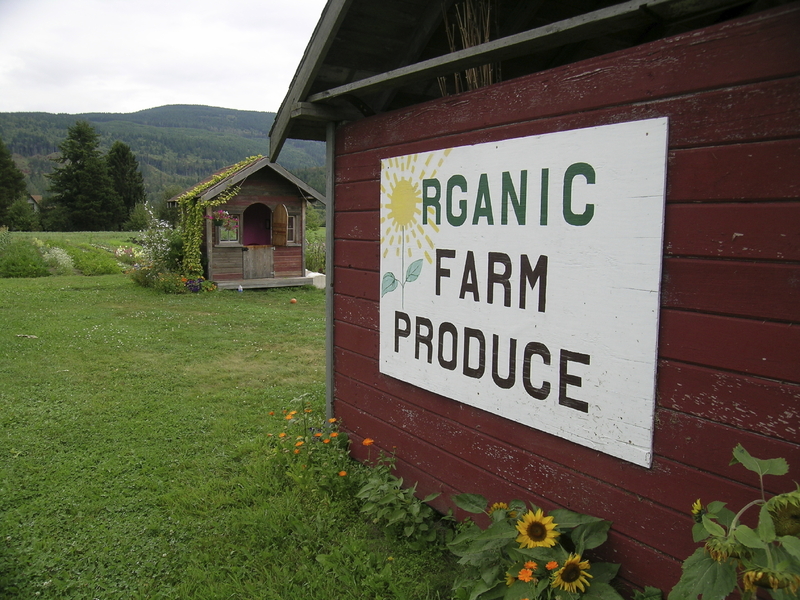 Foods that are certified organic have been grown, handled, and produced according to its strict guidelines. The Soil Association is also an international authority on the principles and practices of organic farming, providing specialised support and information to farmers, growers, producers and retailers. Demand for organic produce in Britain has been steadily increasing since the early 90’s. By 1993 sales of organic produce had already topped £100 million, and the industry is now estimated to be worth over £2 billion in the UK alone. Most supermarkets and smaller food retailers carry a wide range of organic products. Waitrose – the first supermarket to stock organic goods in the UK – has one of the largest and broadest ranges, with over 1600 organic items. Tesco, Britain ’s largest retailer provides 1200 organic lines in each of its large supermarket stores.